Tá foirne againn ag imirt sna grádanna seo: Sinsear, Sóisear A, Sóisear C, Faoi 21, Mionúir, Faoi 16, Faoi 14, Faoi 12, Faoi 10 agus Faoi 8. 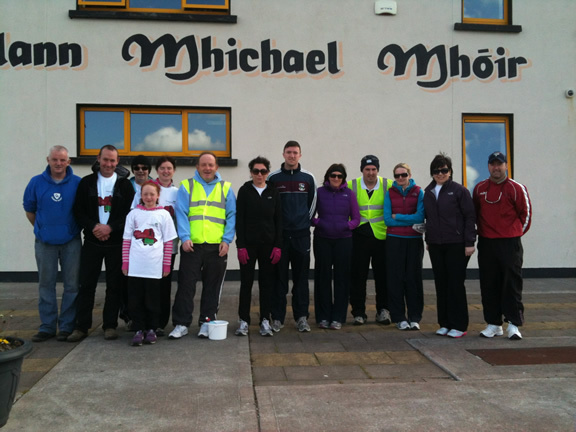 Bronnadh gradam Réalt na Gaillimhe sa Dornálaíocht don bhliain 2011 ar Chiaráin Ó Gríofa as an éacht a rinne sé i 2011. Thosaigh an séasúr nua peile le cluiche craoibhe Faoi 21 A ar an Máimín i gcoinne Bhearna. Lá bog a bhí ann, an pháirc fliuch. Scóráil Aonghus Ó Fátharta an chéad scór den bliain peile nua le cúilín ó chic saor. Bhí Naomh Anna chun cinn ag leathama le pointe amháin, 0-4 le 0-3. Chothrom Bearna rudaí le pointe go luath sa dara leath ach fuair Naomh Anna an chéad dá scór eile le cúl agus cúilín chun dul 4 pointe chun cinn le 10 nóiméad fágtha ar an gclog. Ach b'iad Bearna a chríochnaigh ba láidre le cúig chúilín chun an bua a fháil ag deireadh na himeartha le pointe amháin. Níor bhfuair muid ach scór amháin ón imirt, cúl ó Aonghus Ó Fátharta. Scóráil Aonghus an 5 phointe ó chiceanna saor. Tháinig Colm Mac Donnacha isteach mar fhear ionad ar fhoireann Faoi 21 na Gaillimhe a d'imir i gCraobh Chonnacht i gcoinne Mhuigh Eo i gCaisleán an Bharraigh ar an gCéadaoin, 14 Márta. Faraor, tar éis am breise, theip orthu le dhá phointe, 1-14 le 0-15. Tá áit bainte amach ag Sarah Ní Loingsigh agus ag foireann sinsir Ban na Gaillimhe i gcluche leathcheannais na Sraithe Náisiúnta, roinn a 2. Extra-time Winners! from Jerome Quinn on Vimeo. tar éis am breise i mBéal Feiriste ar an Domhnach, 25 Márta. 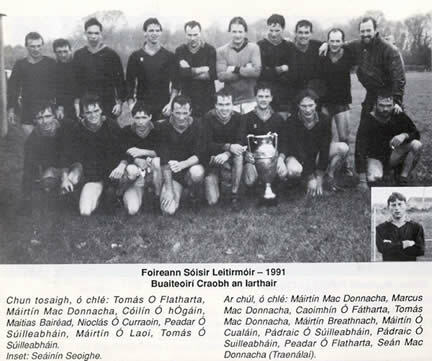 Chuaigh an fhoireann sinsear chun páirce don chéad uair i 2012 nuair a d'imir siad Micheál Breathnach i gComórtas Peile na Gaeltachta ar Pháirc an Chnoic ar an Domhnach, 25 Márta. Scóráil Ciarán Ó Conghaile an chéad scór den tséasúir nua le cúl tar éis 37 soicind. 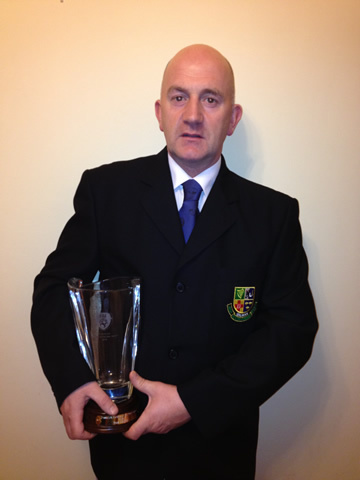 Fuair siad an ceann is fearr ar fhir Chois Fharraige leis an scór deiridh 5-10 le 0-13. Baill an Chumann a ghlac páirt i siúlóid do Cancer Care West le gairid. Bhí Niamh Ní Chualáin as Cladhnach ar phanael Cailíní na Gaillimhe a bhuaigh Craobh A Faoi 16 na hÉireann nuair a fuair siad an ceann is fearr ar Chorcaigh in Aonach, Tiobrad Árann ar an 25 Lúnasa leis an scór Gaillimh 3-10, Corcaigh 1-15. 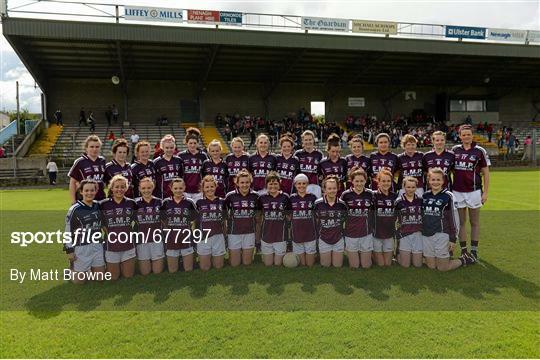 Níos luaithe an mhí sin, uair Gaillimh an ceann is fearr ar Thír Eoghain sa gcluiche leathcheannais le 6-19 i gcoinne 1-7 i Ros Comáin. Tá Niamh sa líne chúl ar dheis. Bhuaigh Niamh Ní Chualáin as Cladhnach Craobh Faoi 16 na hÉireann sa Dornálaíocht ar an Aoine 26 Deireadh Fómhair. Comhgháirdeas le Foireann Máistrí na Gaillimhe a bhuaigh Craobh na hÉireann i Sligeach nuair a fuair siad an ceann is fearr ar An Chabhán le dhá phointe, 0-7 le 0-5. Bhí Séamus Ó Ráinne ina chaptaen agus lántosach agus bhí Tommy Chóilín Saile Ó Flatharta sa líne lánchúl ar chlé ar an bhfoireann. Comhgháirdeas le Peadar DD Ó Flatharta ar bronnadh gradam FAI Réiteoir na Bliana air le gairid.